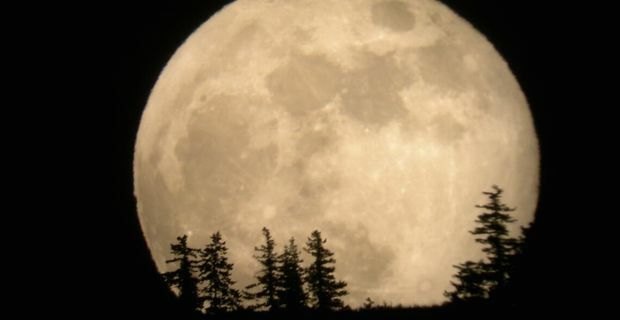 This Saturday, the moon will appear extraordinarily large in the skies in what Earthsky.org describe as a super moon. This will make for spectacular viewing should the skies be somewhat clear as the moon is expected to be much larger than usual as well as much, much brighter. The official name for the super moon is a Perigee moon and it happens whenever the moon is at its' closest to the Earth during its lunar cycle. The moon will be a mere 222,611 miles from the Earth at precisely 11.25pm GMT on Saturday evening. During this so called super moon period, the moon will be at it's closest distance to Earth. There is actually over 30,000 miles distance between a perigee moon to when the moon is at its' farthest from the Earth in what is known as an apogee moon. Super moons may seem like rare events but there are actually a number of them every year. They are often obscured by clouds and therefore slip by relatively unnoticed. There is another perigee moon expected in August which will be even more anticipated than this weekend's as the moon will be a few hundred miles closer to the Earth thus giving of more luminosity and appearing even larger than this weekend's moon.